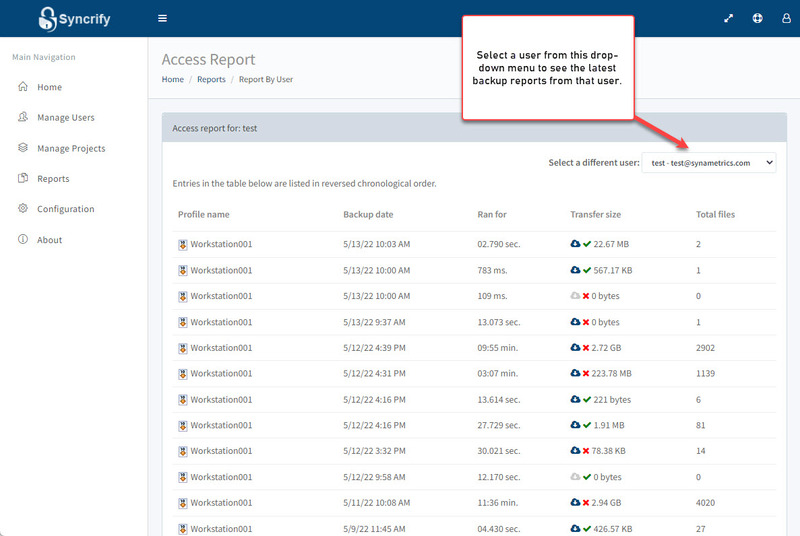 Aside from displaying reports by users, version 3.0 also displays reports by date for every user, allowing administrators to quickly get a snapshot of backup jobs that ran for a particular day. Report by user - Click here for a screen shot. Report by date - Click here for a screen shot. 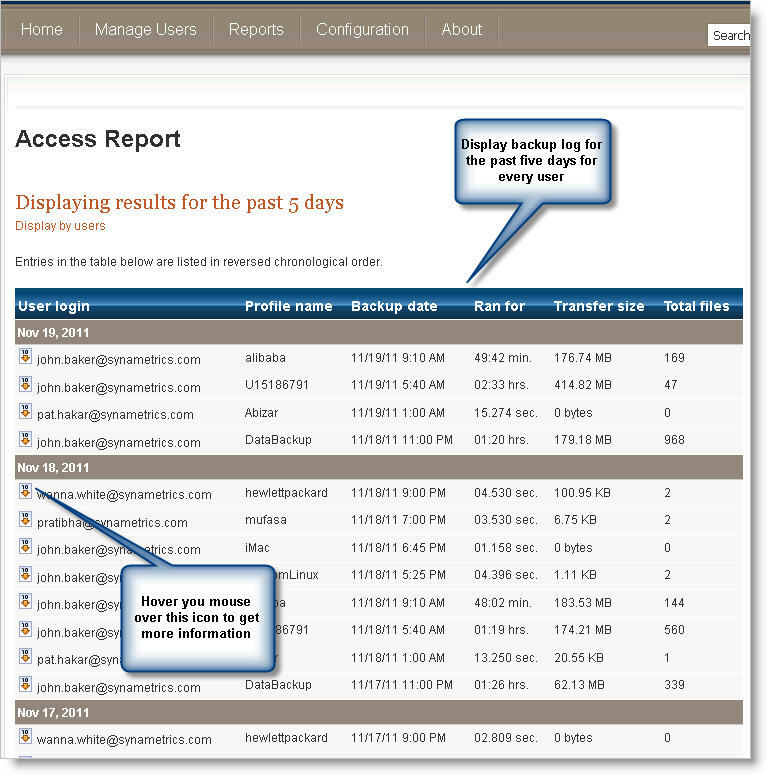 Administrators now have the ability to save the backup log generated by a client on the server machine. This data is stored in CSV (comma separated values) on the server, which can be easily imported into a relational database for further analysis. This option is disabled by default. Follow the steps below to turn it on. When this option is turned on, the Syncrify client will send the backup log to the server, which then converts that into a CSV file and saves it to a local folder. These files are located on the $INSTALLDIR/ClientBackupLogs folder. The first token contains a date with the value represented in milliseconds since January 01, 1970. The second token holds the number of milliseconds the backup ran for. Action -Contains an integer from 1 to 7 signifying the state of the file.